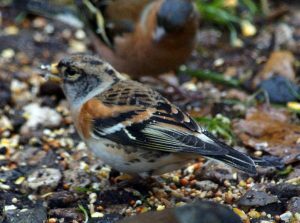 MID-ARGYLL: Bill Allan saw 3 Brambling (2mm + 1f) in his Scammadale garden today. COWAL: A Little Egret was back again at the head of the Holy Loch today (Alistair McGregor). MULL: The Cattle Egret is still around – in the Calgary graveyard area today (Anand Prasad). 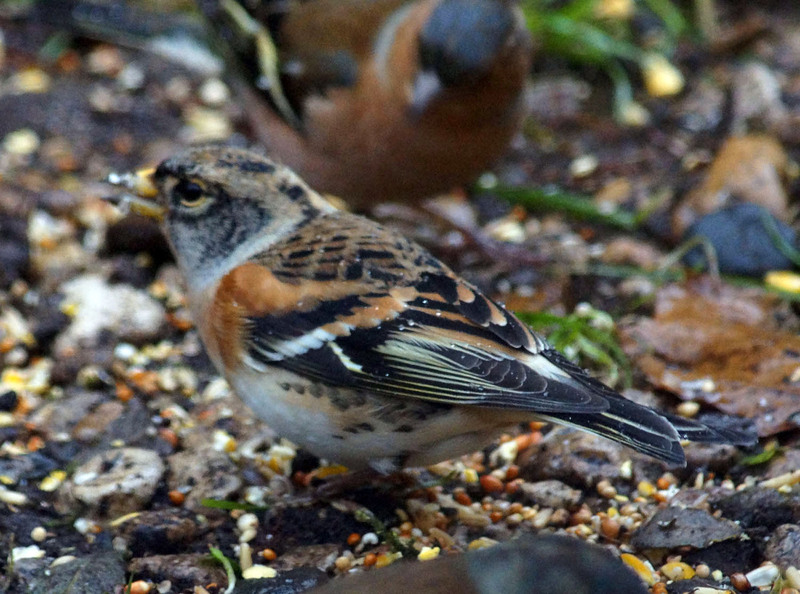 BRAMBLING – Scammadale, Mid-Argyll 19th Oct (Bill Allan).